Lions, Tigers & Owlets – Oh My! If you read Beckett’s birth story, then you know she spent a few days in the NICU. If you didn’t read it – no worries, you can read all about it here! I can’t say there’s a lot I miss about her being there, although we did really love Beckett’s nurse (shout out to Doreen at Rush Medical NICU)! Anyway, there was ONE thing I wish we could have brought home with us – the constant tracking of her heart rate and oxygen, which helped us know how she was doing. As a new parent, I found (and still find) myself worrying about every little thing. It doesn’t help that I am naturally an anxious person who tends to worry more than I should. So after we brought Beckett home, I really missed the reassurance of the heart and pulsation monitoring. Lucky for us, we had the Owlet to help us continue tracking both these levels (and without the price tag that comes along with a vacation in the NICU!). Before we put the monitor on her tiny little foot, I was literally getting up every 5 minutes to check to make sure she was still breathing. Not for any particular reason other than the fact that I am completely neurotic! The Owlet is designed to notify you if either the heart or oxygen levels fall outside the preset zones, which means I can sit longer than 5 minutes without stressing myself into a frenzy – and frankly that’s better for my marriage lol. 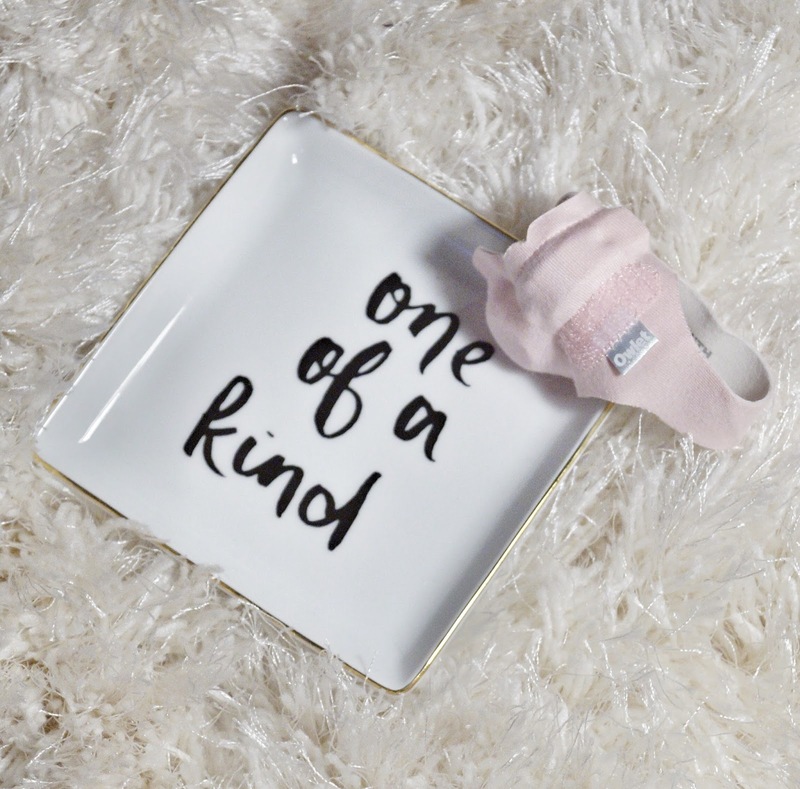 Joe and I love that the sock can be worn on either foot, and as much as I personally really love the mint green color of the original, the Owlet Smart Sock 2 has the option of a pink or a blue sock to customize the experience for your little one. I just think Beckett looks SO cute with her little pink sock. In case you haven’t noticed, Beckett really REALLY likes the rug in her room, so every night Joe and I wind her down with bath time, followed by some milk. Next we put her in some clean pajamas and her Owlet, then spend time playing with her on the rug. Sometimes we read to her, sometimes we play with her and just let her run the rug between her fingers and toes which she LOVES. Then when she starts to get a little drowsy, we move her to the crib or bassinet in our room depending on whether or not one of us is ready to go to sleep as well. Like I said in my last post, she naps in her crib, but I’m just not ready for her to sleep there overnight! Frankly I’m just not ready for her to grow up at all!! And for the record, although this post is sponsored, I would never encourage you all to use a product that I didn’t know and love. 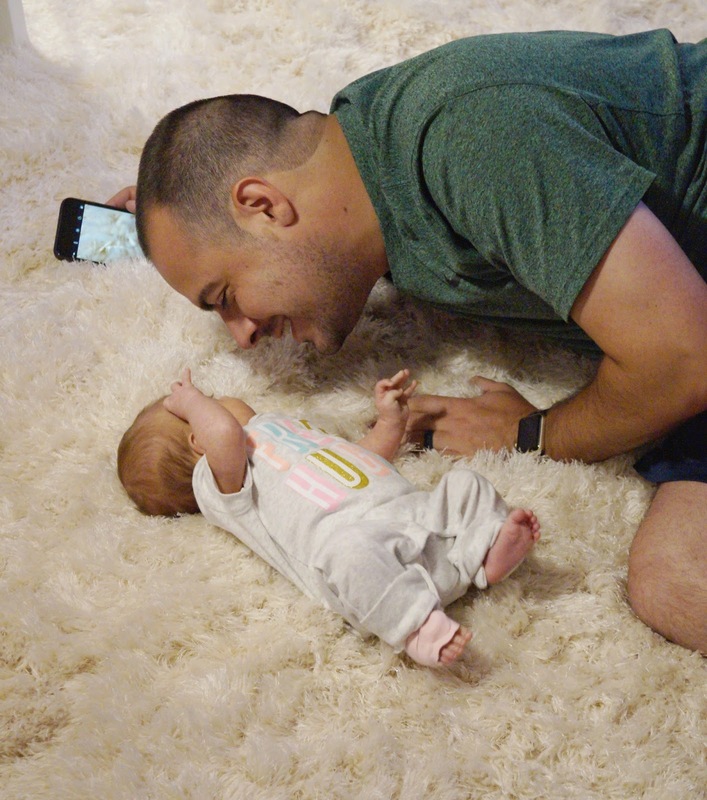 The Owlet was something I looked at and wanted to get my sister in law before my nephew was born, so when Joe and I found out we were expecting – I knew this was something I HAD to have. It makes the perfect gift for all those momma-to-be’s or already mommas! **This post is sponsored by Owlet, but all opinions expressed by the author are authentic and original.